The term "Southeast Asia" includes those countries which are located to the east of India and the south of China. The region&apos;s wealth of raw materials and spices ensured that nearly all of the countries in southeast Asia were colonised by European countries from the 16th century onwards, particularly by Portugal, Spain, Great Britain and France. The history of the last few centuries has left behind traces in these countries. Of all the various religions practised in this area, Buddhism has come to the fore. Various large and smaller rivers are suitable for a River Cruise in Southeast Asia: the Brahmaputra (China, India and Bangladesh), the Chindwin (Myanmar), the Ganges (India and Bangladesh), the Irrawaddy (Myanmar), the Kwai (Thailand) and the Mekong (China, Myanmar, Thailand, Laos, Cambodia and Vietnam). So you can see that there are very many ways of exploring different parts of Southeast Asia. On a Southeast Asian River Cruise you will get to know many large metropolises, such as Guwahati, the largest city in north-east India, or the city of Monywa, an important commercial and trading centre. Of interest are the Thai city of Kanchanaburi with the bridge over the river Kwai, and Varanasi, a centre of traditional Hindu culture and science. Why not visit the industrial city of Calcutta or Mandalay the actual centre of Burmese culture? Capital cities such as Vientiane, Phnom Penhand the economic hub of Vietnam, Ho Chi Minh City will very clearly show you the sheer extent of urban development in Southeast Asia. 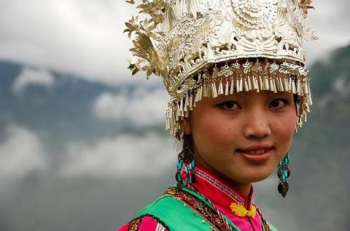 In addition to this, visits to many small villages will bring you face-to-face with traditional life. Alongside the urban culture quite specific to the area, numerous national parks can be visited (Orang National Park, Nameri National Park, Kaziranga National Park, Erawan National Park etc.). There, as in the wild, you can marvel at the sheer diversity of the flora and fauna of Southeast Asia, observing animals such as golden langur monkeys, tigers and rhinoceroses. Wherever you go you will come across natural scenery and fertile landscapes, extensive forested areas and tea plantations. Be impressed by a foreign culture with its mystic temple complexes. Experience exotic natural surroundings suffused with the scent of coriander and cardamom. You will see pilgrims, Buddhist temples and monasteries, religious statues and images - religion is inseparable from the traditional life of the inhabitants. Discover the unspoilt world of Asia - the fascination and inspiration of a Southeast Asian River Cruise.